We do not currently have enough stock to meet the quantity requested. We have 82 available. If you would like to order more than 82, please call in your order to 1-800-TEACHER. Always keep a keyboard cheatsheet at your fingertips. 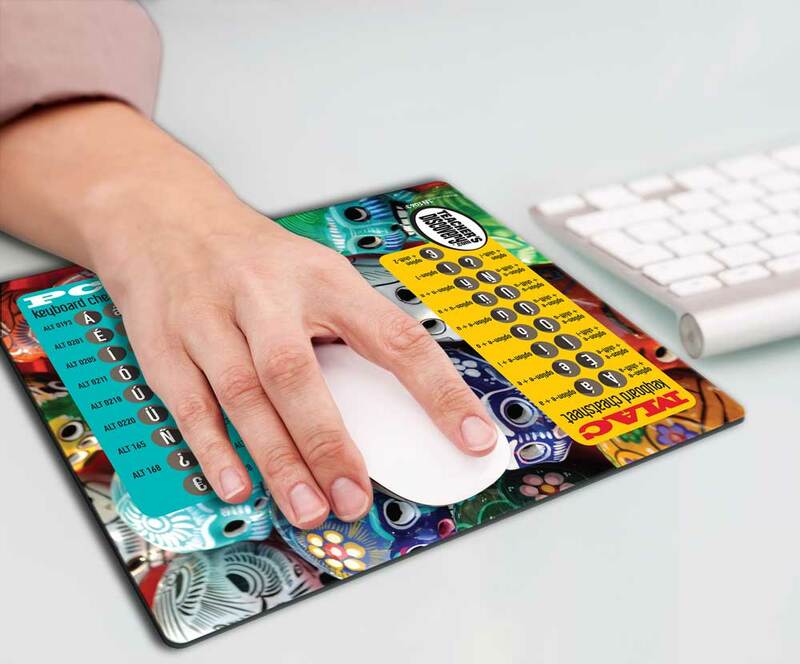 This lively mouse pad features a Day of the Dead motif and the most frequently used keyboard commands in the Spanish language. 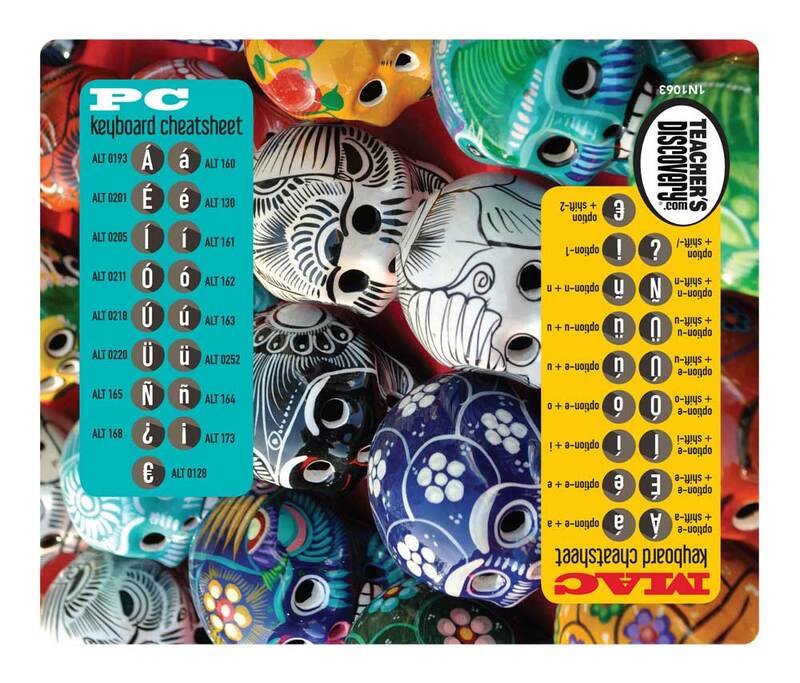 Mac- and PC-user friendly. Large 9 x 7 inch surface, 1/8 inch thick. Rubber/polyester. English. All levels.